Mark Shoen, an American billionaire businessman, is the vice-president of U-Haul Company. 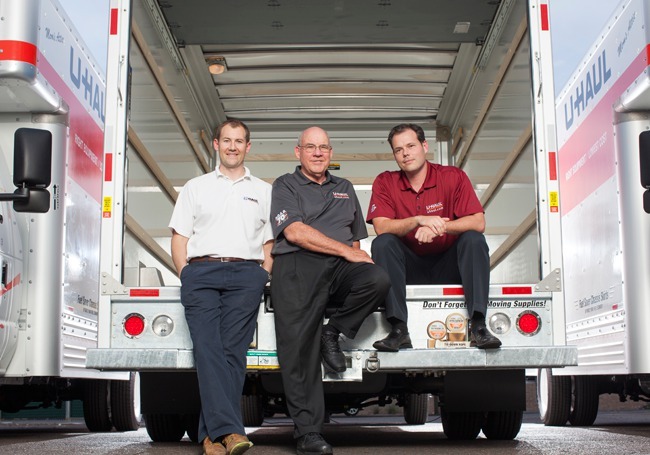 This rental Company for moving equipment and storage was founded by Mark’s parents. Also, Mark Shoen is the largest shareholder of Amerco, U-Haul’s Parent Company. 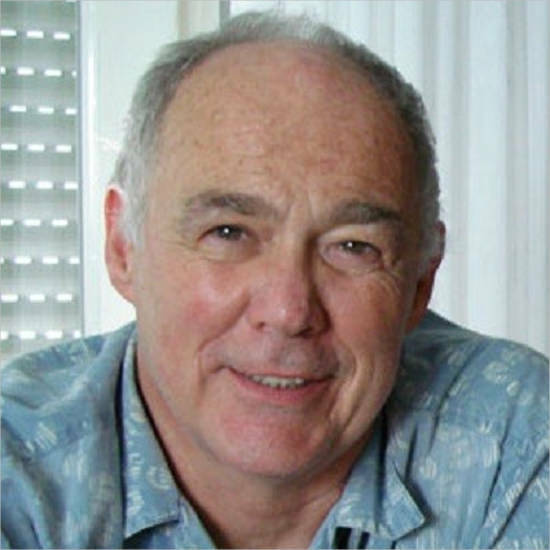 Mark V Shoen was born in November 1950 in Phoenix, Arizona. 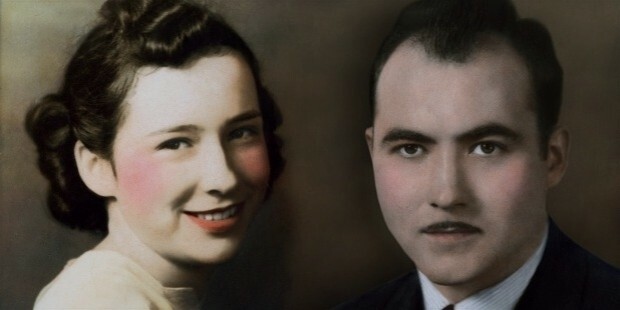 Parents were Leonard Shoen and Anna Carty. Mark was educated in College of the Holy Cross. He is married and has one child. Family lives at their resident in Phoenix, Arizona. 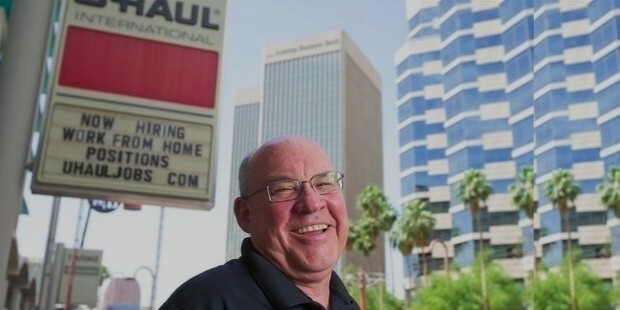 Mark serves as Vice-president of U-Haul. Leonard Samuel “Sam” Shoen was born on 29th February 1916 in McGrath, Minnesota. His parents were Sophie and Samuel J. Shoen. He grew up in the farm belt during the Great Depression. Leonard had decided on providing affordable rental storage and transfer transport. Leonard earned his B.Sc. in General Science from Oregon Science College in 1943. Although, he entered University of Oregon Medical School, Portland he got suspended and Leonard never returned home. Sam served in U.S. Navy as Hospital Apprentice First Class in Bay-view, Idaho and Seattle. He was discharged due to rheumatic fever in 1945. In 1955, Leonard earned L.L.B. at the North Western College of Law in Portland. This was after he started the U-Haul Company. In 1945, Leonard founded U-Haul truck and trailer organisation in Ridgefield, Washington, with his first wife, Anna Mary Carty Shoen. Both husband and first wife were co-founders. U-Haul commenced with an investment of $5,000. Initially, Shoens had to work regularly for 16-hours. They reinvested all their earnings back into the business. Sam built rental trailers at the Carty Ranch in Ridgefield owned by his parents-in-law. The first U-Haul Rental Agent was Mobil station on Interstate station in Portland. In 1951, Shoen reorganised the U-Haul Trailer Rental Company under ARCOA (Associated Rental Companies of America) Inc. By 1955, there were over 10,000 U-Haul trailers on the road. This brand was nationally known. 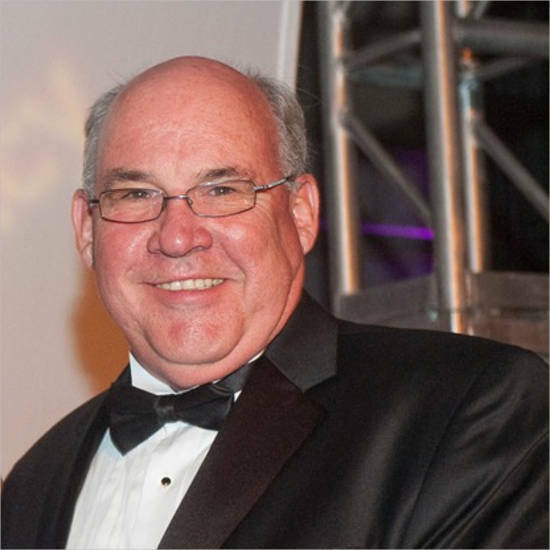 In 1960s, Sam diversified his holdings by establishing Amerco Inc. from Advanced Management Engineering and Research Company. The Corporate offices that were in Portland till 1967 were relocated to Phoenix, Arizona. Sam married many times. His first wife was Anna Mary Carty who lived from 1922 to 1957. Anna was mother of Sam’s first six children. They were Samuel Shoen, Michael Shoen, Edward Joseph Shoen, Mark Shoen, Mary Anna Eaton and Paul Shoen. In 1958, Sam married Suzanne Gilbaugh and they had five children. They were Sophia Shoen, Cecilia Hanlon, Theresa Romero, Katrina Carlson and James Shoen. Sam divorced Gilbaugh. In 1978, Sam married Suzanne Whitmore and had one child called Scott Shoen. Sam divorced Whitmore and married Eva Shoen but she was killed in Telluride, Colorado in 1990. Sam’s last wife was Carol Schoen and the couple adopted Shana Coupland. Sam had total of 12 children and he made each one a stockholder. Sam transferred all but 2% of control to Joe and Mark. They launched a successful takeover of the business in 1986. Sam died on 4th October 1999. He had crashed his car into a telephone pole near his Nevada home. According to the Clark County Coroner’s office Sam committed suicide. Sam Shoen was survived by his fifth wife, Carol, and all his children. Mark Shoen is net worth of $2.8 Billion. His brother Joe and Mark Shoen owns almost 43% of U-Haul parent Company Amerco. It is through limited partnership known as Willow Grove. In 2016, after restructuring plans Mark is into Blackwater Investments. It is the largest private self-storage operations in the U. S. Many of these are managed under U-Haul, founded by his parents Leonard Samuel and Anna Mary Shoen in 1945.